Aussie pokies are just a little different from the gaming machines found through the rest of the world. For starters, we called our poker machines different names than foreigners. Americans call pokies slot machines, while people from the UK called them fruit machines. The difference go beyond naming conventions, though. While social critics deride Australian-friendly gaming operators for their predatory behaviour, public documents about state revenues show the gaming machines produce about 60% of the revenue in an average land-based casino. That’s actually a low percentage when compared against the world statistics, where pokies draw in 60% at the low end and up to 70% of the revenue at the high end of the spectrum (such as the United States). One of the reasons Australian pokies have a distinct flavour is the influence of Aristocrat Technology. Aristocrat has been a major producer of land-based pokies for the past 60 years. Today, roughly 90% of the poker machines found in Aussie clubs, pubs, and casinos are designed and marketed by Aristocrat. If you go overseas, you’ll see that rival companies try to copy this Australian company’s themes and game designs. Take “Queen of the Nile Pokies” as an example. The game’s Egyptian theme has spawned countless knock-offs, including IGT’s Cleopatra. Name any poker machine design company and it has its title with an Ancient Egypt theme. The inspiration isn’t the only thing, though. You’ll also find design elements, such as the multi-tiered bonus rounds, are copied by the competition. While Aristocrat has focused these years on their land-based EGMs, in the past few years, it’s begun to convert many of its popular titles into online pokies. Queen of the Nile, Big Red Game, 50 Lions, and 50 Dragons are examples of games you can find on the Internet. I’ll recommend the Big Red Game, because it has a payback percentage over 97%. Those are some of the best odds you’ll find on a poker machine. Lady Luck, Reel Power, Mr Cashman, Superbucks III, Enchanted Forest, Cash Express, Foxworthy Slots, L’il Lucy, Zorro, Lucky Devil, MKVI, Penguin Power, and Mermaids Treasure are other titles you may have played in famous Aussie casinos like Crown Melbourne, Star Sydney Casino, Treasury Casino in Brisbane, and Crown Perth. Powered by Microgaming, BetSoft (which specialises in 3D slot games), NYXGaming, NetEntertainment, these sites own over 350 diverse virtual pokies each, giving the gambler a huge list of themes and game designs to sample. Enjoy five-reel video pokies, three-reel classics, progressive pokies or multi-spin games. Graphics are among the best in the world, while safety and fairness of each site is ensured by independent regulatory bodies such as eCOGRA (the eCommerce Online Gaming Regulation and Assurance body). 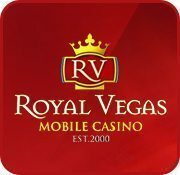 Most mobile sites offer casino apps for Android OS, Apple iOS, Blackberry OS, and Windows Phone OS. This allows people to play using their Android phone, smartphone, cell phone, Blackberry, iPhone, iPad, or other tablet computer. Here are four of our top mobile gaming websites for Australians. Conduct all your casino banking (deposits and withdrawals) directly from your hand-held device. 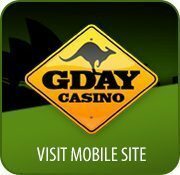 Aussie gambling online is regulated by a series of state laws, as well as the Interactive Gambling Act of 2001. This IGA is enforced by the Australian national government, which states that it’s illegal to gamble online using a computer or mobile device. Though this is the law of the land, no Aussie online poker machine player has ever been prosecuted for gambling on the Internet. Though it’s never happened, that doesn’t mean it won’t ever happen. That being said, it’s much more likely government law enforcement agencies would target gaming operators, instead of the individual players. Among the legal institutions, it’s the state agencies which are most likely to create legal hurdles. Gambling operators must be licensed by a state government. The Northern Territory’s Licensing Commission handles many of the online gaming licenses, though the governments of New South Wales, Victoria, Queensland, Tasmania, Western Australia, and Southern Australia each have instituted their own state gaming laws. It’s the responsibility of Aussie pokies players to know the laws in their state and stay within compliance of those laws.